The following publications are available for either direct download (free of charge) or for purchase through the iTunes iBookstore. Please note - These books can only be viewed using iBooks 2 on an iPad. iOS 5 is required. A new iBook for identification of common insect pests has been published. This free iBook was funded with a grant from the Fred C. Gloeckner Foundation. The iBook can be viewed on iPads and Mac operating systems. 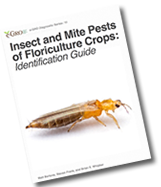 The current version has 53 pages and covers aphids, fungus gnats, leafminers, shoreflies, thrips, and whiteflies. We will be adding additional insect and mite pests over the next two years of the grant. 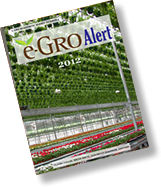 Future update notifications will be sent out from the e-GRO website. The final version in 2017 will include a print copy. This e-book is the first in the e-GRO diagnostic series of publications. Written by Brian E Whipker and Ingram McCall, this book discusses fertility management, and offers a useful pictorial guide to nutrient disorders. 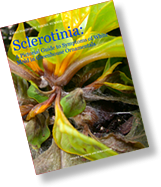 This free of charge e-book is the second in the e-GRO diagnostic series of publications. Edited by Claire Collie, Brian Krug, and Brian Whipker, this collection continues to deliver important, relevant, and useful information for growers. 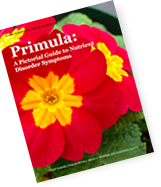 This e-book is the second in the e-GRO diagnostic series of publications, and is a pictorial guide to nutrient disorder systems. Download A free sample before purchase! 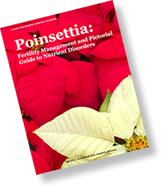 This e-book is the fourth in the e-GRO diagnostic series of publications. The iBook is 153 pages in length and includes 4 videos and 52 photo galleries. 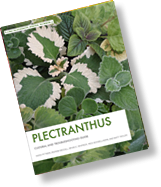 Major sections include a plant culture information, problem solving, and details about the major cultivars. It is a free download for iPads and Macs with the latest operating version (Oct 2013).